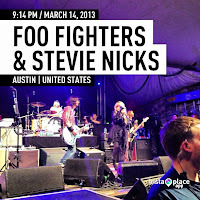 Fleetwood Mac News: Stevie Nicks Ends Whirlwind Day at SXSW with Rocking Sound City Performance! 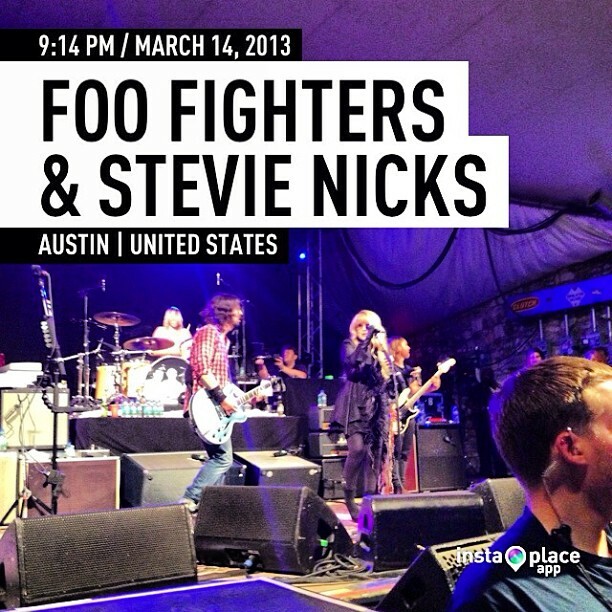 Stevie Nicks Ends Whirlwind Day at SXSW with Rocking Sound City Performance! Stevie Nicks blew into Austin and SXSW like a bird in flight today to promote two documentaries - "Sound City" and her own "In Your Dreams". She attended the IYD screening, spoke to the audience a bit afterwards with Dave Stewart, was quickly whisked off to her own one on one interview in front of a packed house at the Convention Center with Ann Power of NPR. 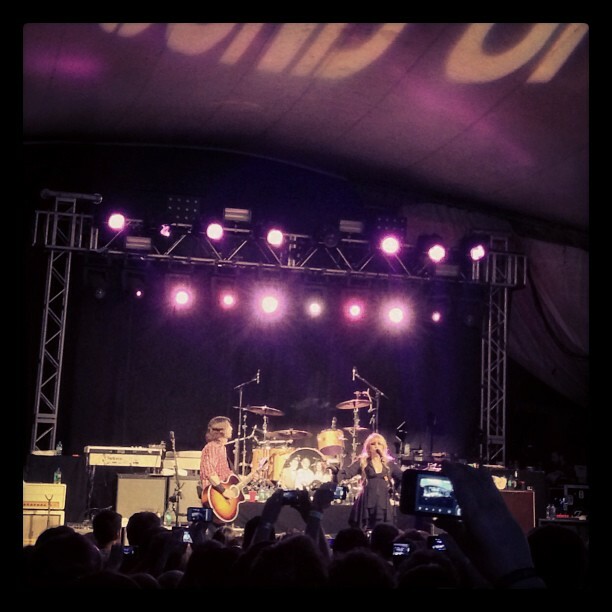 Then capped off the night at Stubbs BBQ where she joined Dave Grohl and the rest of The Sound City Players and rocked the out-door venue. Her set came a little earlier tonight then normal. In the past she closed out the usual 3 hour event... But the girls busy! She's gotta plane's waiting! She needs to high-tail it back to L.A. and Fleetwood Mac rehearsals to brush up on Sister of The Moon! Fleetwood Mac are Live in Columbus, Ohio in exactly 3 weeks from tonight! Here are a couple of twitter pics. First two are by Ultra5280 which I think are kinda cool! 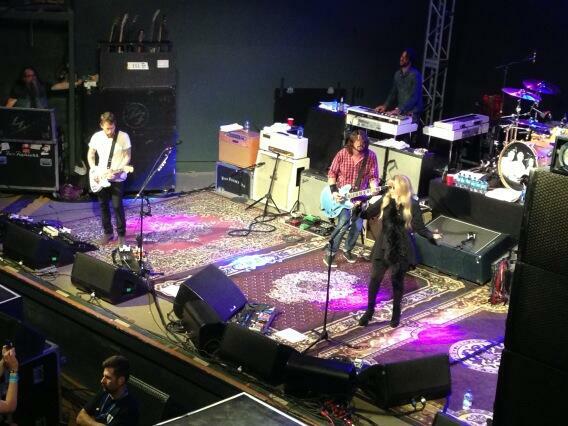 As you can see Stevie changed up the on stage outfit vs what she previously wore during the Sound City Live shows. Looks like the same outfit she wore on Letterman last month. Her set was the same as in previous Sound City shows: Stop Draggin My Heart Around | You Can't Fix This | Dreams | Landslide | Gold Dust Woman. Next event for Stevie... Oprah's Masterclass on the 24th!